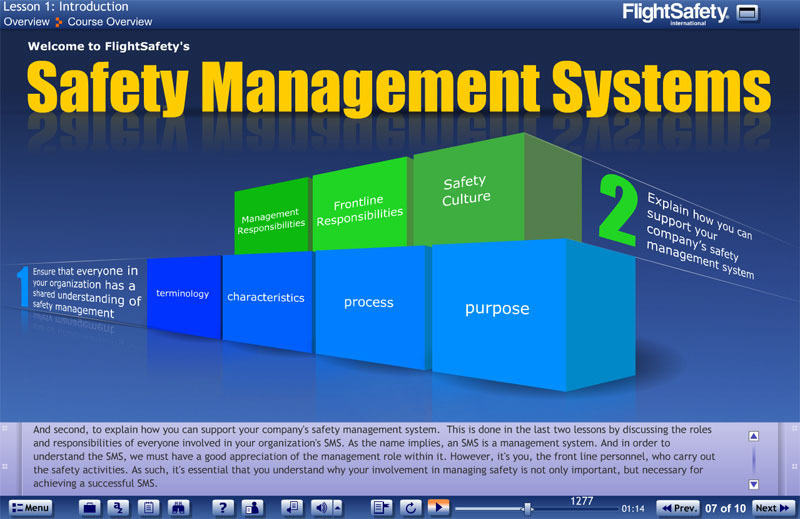 An effective safety culture requires the full participation of everyone to be successful. 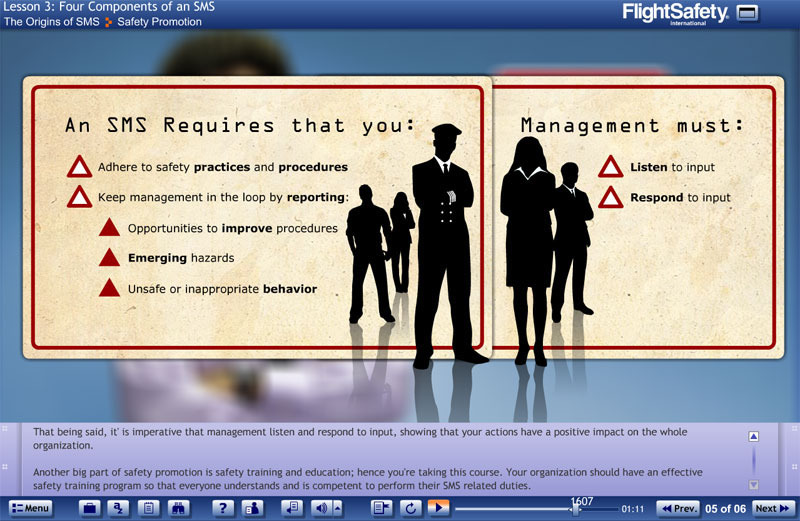 Co-developed by FlightSafety International and the International Business Aviation Council (IBAC), this course takes a scenario-based approach to learning, using relatable, even humorous, real-life situations to introduce the learner to the fundamental concepts of Safety Management Systems and focuses on fostering a proactive, positive safety culture. 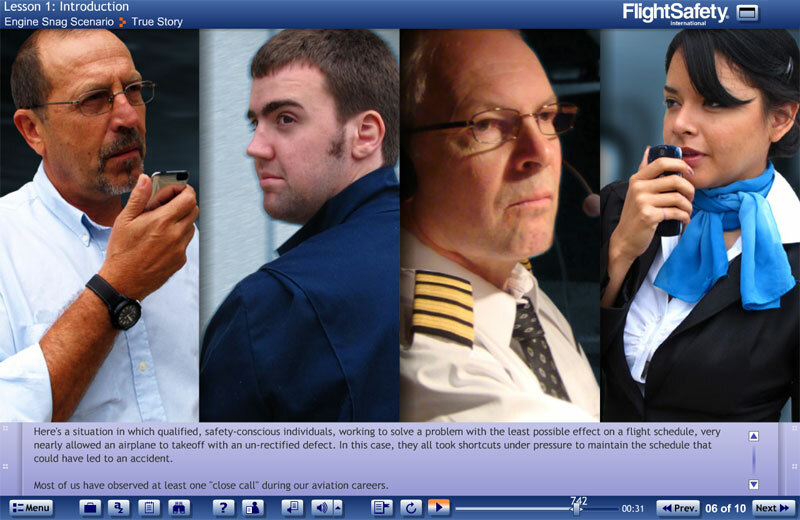 This online course is intended for all professionals working within daily flight department operations, including pilots, maintenance personnel, flight attendants, dispatchers, line personnel and administrative staff.